Modern Glass is proud to have been part of the Airway Heights cinema redesign. This project features Kawneer 1600 UT segmented radius curtain wall and Guardian glass products. The general contractor for this projectwas Garco Construction. 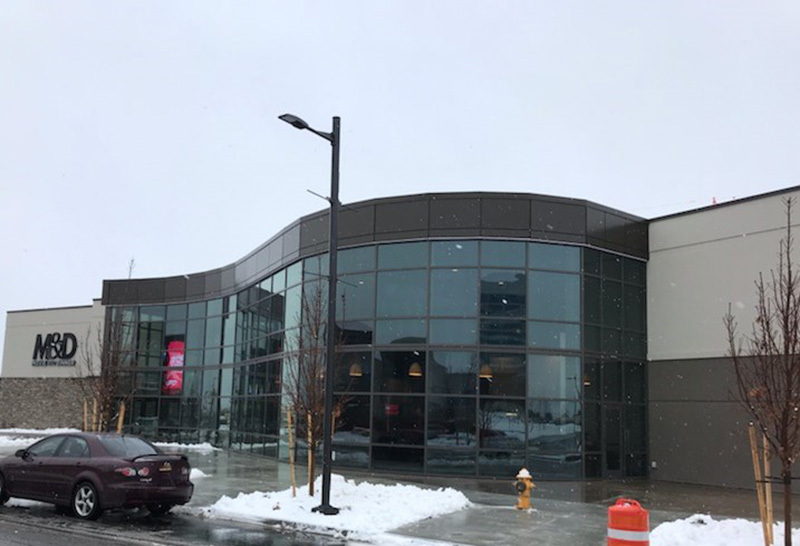 The Airway Heights cinema complex now includes a 120-seat restaurant, a bar/lounge, and eight theaters that range in size from 25 seats to 70 seats. This new concept, know as Movie and a Dinner allows guests to reserve seats online and go directly to their seat once they arrive at the theater. They can either enjoy selections from a specially designed “dark menu” during their movie, or enjoy a meal in the full restaurant. You can learn more about Movie and Dinner in this article by the Spokesman Review, or visit their website at movieanddinner.com. Looking for quality in your next commercial or residential glass project?